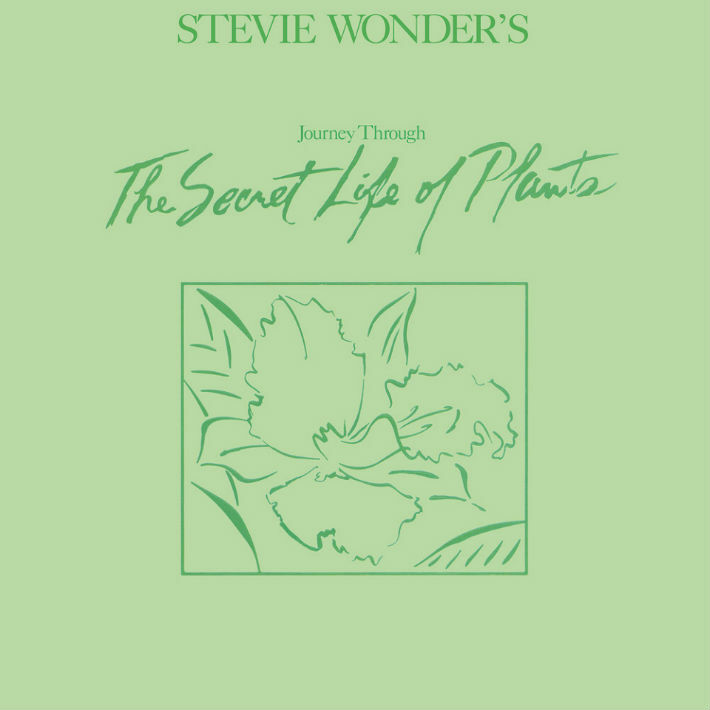 Paddy McAloon, of Prefab Sprout fame, discusses his adoration of one of Stevie Wonder’s less immediately accessible masterpieces, The Secret Life of Plants, back in 1997, lovingly borrowed from Mojo (remember that?) via Sproutology. We adore the album too. Dynamite wouldn’t be too strong a word. Paddy and Stevie are the main men. I’d always liked Stevie Wonder when I was a teenager. I remember hearing Living For The and thinking it sounded majestic, but… The Secret Life Of Plants was the first one I was moved to buy. The title would have probably had a lot to do with it, and I was tickled by the fact that it was a soundtrack, and yet he obviously wouldn’t have been able to see the accompanying film. Have I seen it? As it happens, I haven’t, but I’m sure it fits beautifully. Round about when I bought it in 1980, I was starting to find my writer’s voice — and there was something in these songs that inspired me. You wouldn’t guess its influence by listening to early Prefab Sprout albums, but there are certain songs that are related to it in my mind. Technique off (Prefab Sprout’s first album) Swoon is a case in point. I remember feeling liberated enough to stretch myself lyrically. On Outside My Window, you can hear echoes of Isn’t She Lovely, but he’s singing to petunias rather than a baby. In fact, if you actually read most of the lyrics, they’re a bit daffy — but of course, it’s Stevie Wonder singing them, and when a voice has such musicality to it, it’s way more than the sum of its parts. I think the phrase I’m trying to avoid here is ‘concept album’, but there’s no getting away from it when you’re talking about an album like this. The older I get, the more sense it makes to write several songs about the same subject, and the LP taught me that a good title is an important launch pad for any project. It helped legitimise that way of working for me (McAloon has written unrecorded albums about Princess Diana, Michael Jackson and the history of the universe). I just don’t think there’s the space sometimes to deal with the whole of a subject in a single song. And I love all those synth instrumentals like Venus’ Flytrap and Ecclesiastes. It was so impressive that he wasn’t afraid of what people were saying about electronic instruments taking the soul out of music — that’s also what helped make Superstition such an amazing song. I finally got the chance to tell Stevie what I thought about him when he came into the studio to play on Nightingales in 1988. We had booked the studio next door so we could sort of get him to play on the song, and thankfully we pulled it off. What was he like? An absolute gentleman. It’s a strange position to find yourself explaining to Stevie Wonder what you want him to play on the song, and I had to ask him to play something that was not in the least bit funky. There was no condescension or anything; he just did his bit, which was brilliant, and asked us if it was OK.
A few years ago, this album re-entered my orbit in a big way. My eye problems intensified (McAloon was temporarily blinded by a condition which detached his retinas). Now obviously, there’s a colossal difference between what happened to me and someone like Stevie Wonder who has been blind his whole life, but it was a strange time. I’d just got married and was about to become a father and it seemed that this was something to really get my head around. What did I do? Well, the interesting thing is that you retreat into this interior world, and to a certain degree, your imagination cuts loose. I was listening to the radio a lot and that inspired me to make I Trawl The Megahertz (McAloon’s 2003 tone poem, narrated by the journey of a radio tuning dial). It seems a little unfair that this was so badly received when it came out, because it’s an incredibly brave album. Some of the little chants you have there could almost be Sun Ra or something. Whenever I see this album in a charity shop, I can’t not buy it. I’ve got three or four copies of it at the moment. I’m continually handing them out to people. – Pete Paphides, Mojo (July 1997) Last Night A Record Changed My Life. Big thanks to Sproutology – the go-to online destination for all things Prefab Sprout. And if you’re a heavy Stevie fan – like us – you’ll enjoy this documentary film from the Hotter Than July era back in 1981. If Prefab Sprout are more your bag than little Stevie then watch this live performance of them from 1985 in Munich.